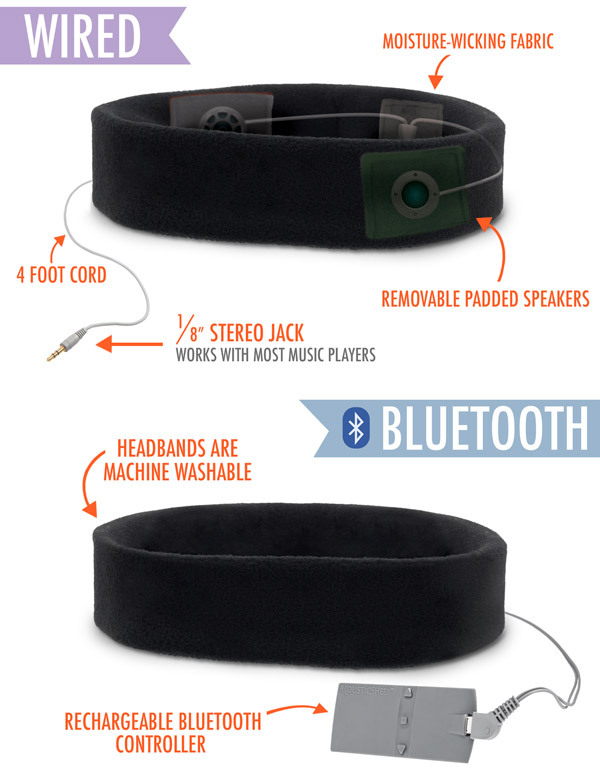 SleepPhones: Speakers embedded in a comfy headband. 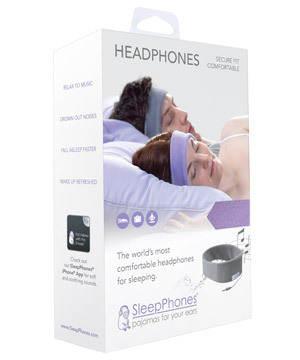 SleepPhones are comfortable headphones made for bedtime. A set of removable padded speakers are nestled in a soft headband to create a safe way to provide aural relaxation at night. Whether you’re listening to music, soothing soundscapes, or calming voices, SleepPhones offer the coziest way to rest with tranquil sounds. 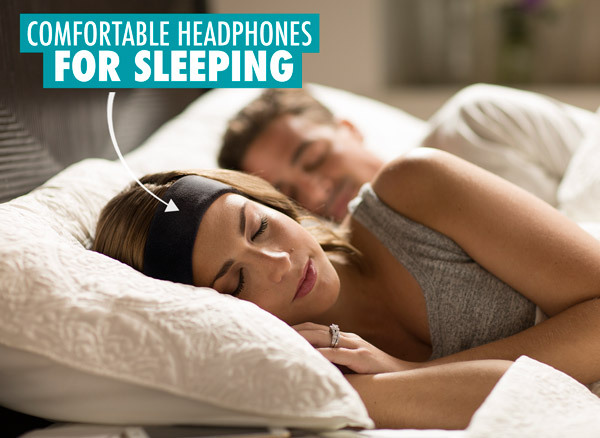 Unlike traditional over-the-ear headphones or invasive earbuds, SleepPhones help you relax with music while remaining uber comfortable. Plug in (or connect wirelessly via the Bluetooth model), zonk out, and sleep well with SleepPhones. Just because you’re a grown-up doesn’t mean you’re not allowed to be sung to sleep. 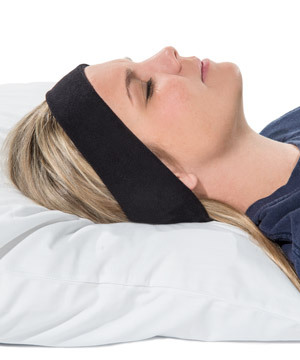 Lull yourself into sweet dreams with SleepPhones—a comfortable headband featuring a pair of integrated speakers. Whether you’re a side, back, or front sleeper, the headphones won’t press into your temples, so you can enjoy relaxing music or soundscapes as you drift off. SleepPhones are designed for the bed. The comfortable headband is made from moisture-wicking fabric that’s machine-washable. Removable speakers ensure you can get it through the wash without ruining them, and the whole system is designed not to interfere with your natural resting position. SleepPhones are currently available in two versions: Wired (via a 4-foot-long 1/8" plug) and Wireless (via Bluetooth). Rest assured; these are well-designed headphones. Answer: Yes and no! We have both a wired version (the audio signal runs through a single 4’ cable with a 1/8” (3mm) male jack) and a wireless version that uses Bluetooth. Question: What should I listen to? Answer: Since they’re made for rest, we recommend gentle noises like peaceful music, guided meditation, or soothing soundscapes.